In cooperation with the Consumer Product Safety Commission (CPSC), Canon USA, Inc. of Lake Success,New York is voluntarily recalling about 60,000 Faxphones. The Faxphones are combination plain-paper copiers and facsimile machines. A component failure can cause the Faxphone to catch on fire. 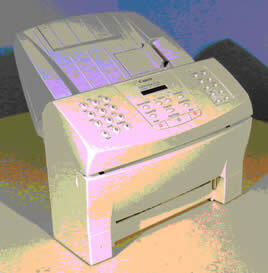 The recall involves Canon Faxphones with model number B640. "FAXPHONE B640" is written on the front of the machines. The units being recalled have serial numbers UKK52923 to UKK55442, UKK60513 to UKK99999, and YKK02001 to YKK20000. The serial number is printed on a silver label located on the back of the machines. located on the back of the machines. For more information, consumers should contact Canon at (888) 280-7858 between 8:00 a.m. and 12:00 a.m. ET Monday through Friday, and between 12:00 p.m. and 8:00 p.m. ET Saturday, or visit Canon's web site at www.cusa.canon.com/consumer. The Consumer Product Safety Commission (CPSC) and, Maytag Corp., of Newton, Iowa, is voluntarily recalling about 13,000 Crosley and Magic Chef electric ranges. Liquid can enter the indicator light and can cause sparking and flaming in the light, presenting a fire hazard to consumers. The recalled electric ranges are 30-inch freestanding units with the control panel in the front between the door panel and main top. The Crosley brand name ranges have model numbers CE35000AAW or CE35000AAT, and the Magic Chef brand name ranges have model numbers CER1110AAT or CER1110AAH. The brand names can be found on the control panel or the back guard panel and the model number can be located by opening the storage drawer and looking at the tag on the left side. For more information, consumers should call Maytag toll-free (800) 462-9267 between 8:00 a.m. and 5:00 p.m. Eastern Standard Time Monday through Friday for a free in-home repair or log on to the company's website at www.maytag.com to schedule the repair. The CPSC point of contact is Scott Wolfson, release number 01-145, (301) 504-0580, Ext 1189. The notice issued by the CPSC can be viewed at http://www.cpsc.gov/cpscpub/prerel/prhtml01/01145.html. Consumer Product Safety Commission (CPSC) and Vermont Castings, Majestic Products (VCMP), of Ontario, Canada, is recalling about 3,900 space heaters. Overheating inside the space heaters can cause the exterior to become extremely hot, posing fire and burn hazards to consumers. 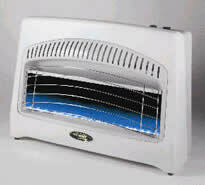 The recalled heaters are white with a silver grill cover. The vent-less heaters have the name "Vermont Castings" on the label directly below the grill. The heater model numbers start with the letters VBVH or VPVH and can be found on a rating plate on the left side of the heater. Independent retailers in the southeastern U.S. sold these recalled heaters from August 2000 to January 2001 for $200 to $400. For more information, consumers should call VCMP toll-free at (866) 757-6649 between 9:00 a.m. and 5:30 p.m. ET Monday through Friday, to receive a free replacement heater or refund.